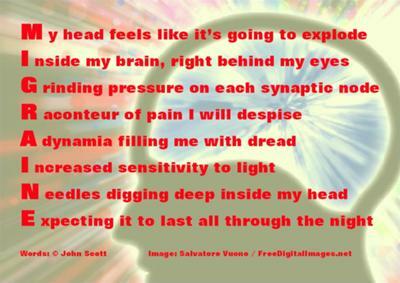 I have suffered with Migraine's since I was a child. I haven't been able to identify any triggers and they aren't regular. Preventative medicines don't help. When I do get a Migraine, about once or twice a month, I can be laid up in bed for anything from a couple of hours to three days.